1) What will happen to all of those farmers who rely on livestock, and whose land is pretty much useless for arable farming anyway. 2) How does she manage to “walk and cycle” around the planet, in order to get to all of her meetings? 3) Where are people expected to get the money from to insulate their homes, when the energy savings are so tiny? 4) What we are supposed to use to power our economies, heat our houses and get from A to B, when we have managed to shut down the fossil fuel companies which she so despises. 5) In the UK, which politicians do we have a choice to vote for, who “don’t understand the climate emergency”? Does not the Marxist witch realise that we would all love the chance to vote for someone who does not blindly follow her agenda? 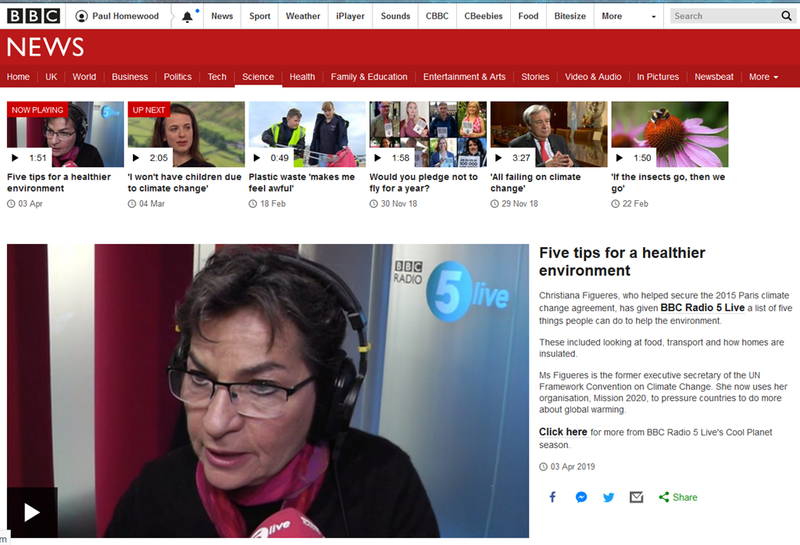 Other items on the BBC Climate Propaganda Channel (AKA BBC Science) include a couple of paranoid bints, who have decided not to have babies because of climate change, and some Swedish mums who have launched a campaign urging people not to fly in 2019. ( Perhaps they ought to have a word with Christina Figueres and most of the BBC reporters!). For some reason, I could not find any reference at all on the BBC Climate Channel to the fact that China, India and the rest of the world, outside of Europe and N America, accounts for 70% of the world’s emissions and are still busily increasing emissions of CO2. Perhaps it is time they also insulated their homes and stopped investing in Shell?